Military Situation In Syria And Iraq On November 9, 2017 (Map Update) 4.64 out of 5 based on 25 ratings. 25 user reviews. The ISIS defense collapsed in the Syrian border city of al-Bukamal on November 8. However, the Syrain Arab Army (SAA) and its allies are still in need to consolidate their recent gains in the area and to secure and demine al-Bukamal. ISIS terrorists control some points in the desert area north of the city and could use a wide network of underground tunnels to conduct counter-attacks. On November 9, clashes were reported between the SAA and ISIS in the area of al-Bukamal. What’s the percentage of syrian territory actually controled by SAA at this point? This war is far from over as all other territories are controled by terrorists who want to split the country, at this point ISIS is just another terrorist group just like the others, and far less dangerous than SDF and At-Tanf USA terror ops. SAA controls a little over 52%, maybe now 53 or 54%. Population wise it is harder to say because of the many refugees and displaced persons. Imo Assad rules more or less 50 to 60% of the present population of some 16 million, of which some 4-5 million in Dameascus, some1 to 1.5 millon in Aleppo. Yes it is hard to say, calculations also have to include returnees to Syria. “opposition” that laid down their weapons and stayed in areas under control of the government. Once the conflict is over, it may be done and have accurate numbers. There are estimates because UN feed most of them as well as make the main parts of a lot of other things. People not return to SAA areas and the ones in that parts are only in small numbers even busses are big and like that. I think its relevant to add where most of the refugees from Raqqa as well as DEZ are. Those are at SDF. Some bunches from Eufrat wrath is returning right now, but the ones from DEZ are in very intermistic conditions. 5 millions are not in Syria at all. The Syrian government forces controls just about 55% of territory at the moment. The Kurds which came to Syria as refugees from Turkey just 3 decades ago control over 30%, but 80% of Syria’s oil and gas resources and around 80% of the water resources too being in control of the Tabqa Dam. The other terrorist outfits and the Turkish army control just about 15% of Syria’s territory. The best positioned are the foreign Kurdish settlers who can just as well split Syria in two and become a de-facto independent US/Zionist vassal state like Kosovo, with much of the stolen Syrian resources to loot at will, while 65% of the Syria’s population living under their government control will have to live as beggars, due to lack of resources and added to that being under US/EU sanctions. Kurds didnt not come to Syria and has always been there even they have been up and down. So has others. Its well known for the rest of the world. You are here. 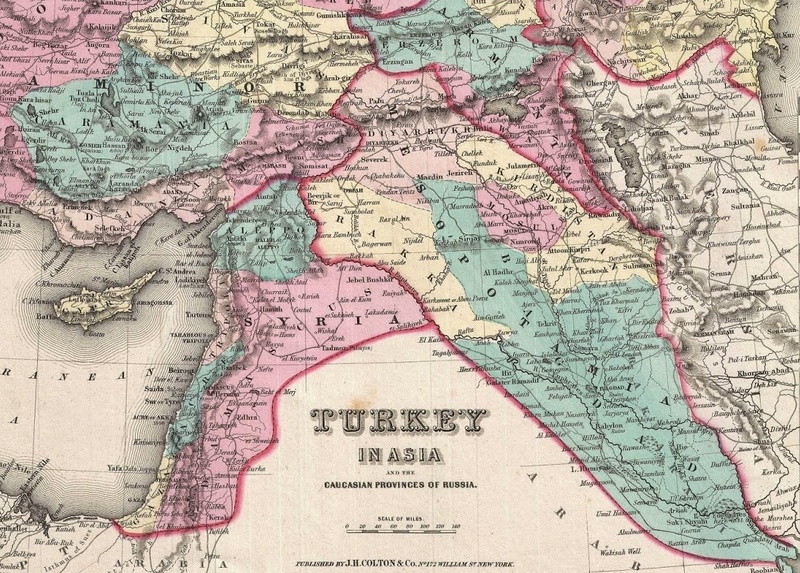 It would make some sense, that You, Turks and Irqians regained those small countries. Thats where all Your selfmade problems are and You insist having them playing psycopats against victims. I agree very much. SDF has about 20% and 20% inhabitants(if all was there). Its very strange that turks are accepted and allowed as they are as well. And now You see saudis seemes to might make civile war in Lebanon again changing leaders for it as well as a minister of Lebanon. I see no attacks from SDF, but of course they would like to restructure their possetion to something completly different. Damaskus will not get any support from Russia as well as US to take/retake SDF.Besides that they are some hard defenders now even they are light armed. Hmmm, perhaps the Syrians won the race that mattered and now they’re the ones who can decide when to cross the Euphrates near the Iraqi border…. Crossing the river immediately is a first priority , the smaller towns just around Al Bukamal , especially those on the east side of the river are most likely to harbor weapons storage and ISIS facilities . As well it would be best to leave no opportunity for SDF to “claim territory” . A joke again. SDF`s are not even near and their wishes has been, that tigers didnt suddenly move to Idlib again as if russian fuel was for free. You only come with stupid infertile assumptions made by Damaskus and Ankara propaganda so it makes You look better and Your low quality of political and military warfare is camouflaged. The Syrians have defeated the Washington barbarians (with a little help from their friends) no mean feat. Joke propaganda remark again.There was no race unless moving tigers to Idlib and SDF waiting and waiting having only its vacation troops there.